Freeman Schwabe Buys Used Schwabe Presses! 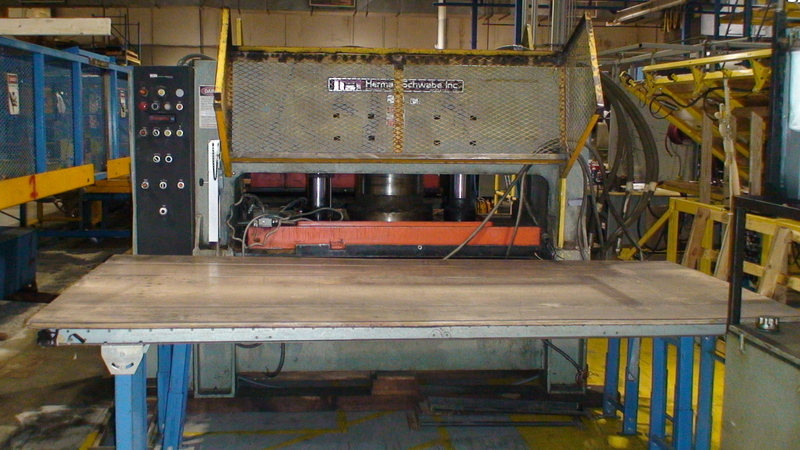 Want to sell a used Herman Schwabe cutting press? Then contact Greg DeFisher at Freeman Schwabe . Freeman Schwabe buys Used Schwabe Presses and rebuilds them, with new parts and a complete new look. As the OEM Freeman Schwabe has the technical drawings and engineering skills to rebuild any Herman Schwabe press. Freeman Schwabe rebuilds the press and makes the SR 115 work and look as new, and meet all OSHA new standards PLUS Freeman Schwabe provides a limited warranty for the rebuilt press. Whether you want to sell a Schwabe Used Press or Buy a Rebuilt Schwabe, contact the OEM Freeman Schwabe, and be reassured that OEM engineers put the machine together. This entry was posted in Herman Schwabe Inc, Herman Schwabe Inc clicker, Schwabe Die Cutting, Schwabe Parts and Service, Used Herman Schwabe Press, Used Schwabe Cutting Press and tagged herman schwabe, schwabe parts, schwabe presses, schwabe service, used schwabe presses. Bookmark the permalink.